These intelligent motor soft starters are manufacturing under power electronics technologies, microprocessor technologies and modern control theory technologies, it's an up-to-date international advanced starting device. These soft starters can restrict induction AC motor starting voltage effectively during motor start-up period, which can be widely used in fans & pumps, compressors and other heavy load equipments. This soft starter is an ideal replacement for star/delta conversion, self-coupling voltage reduction and magnetron control voltage reduction devices etc. Select customizable parameters through simple programming according load types. 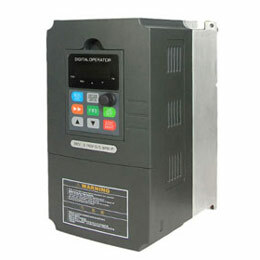 Three startup types are optional, it's convenient for a motor soft starter to control different motor loads. Detect motor start-up feedback voltage to achieve closed-loop control, to ensure electric motor start successful in variety load conditions. Three start-up modes: voltage ramp start mode can get maximum output torque; constant current soft start mode can limit start-up current maximum; direct soft start mode can start motor soft starter directly. Programmable delay start and chain control mode. No requirements of input phase sequence. Start/stop time can be changed easily. With various protection functions: over-current, 3 phase current unbalance, overheating, phase lost and motor overload protection. Dynamic fault record function, it's easy to find fault reasons. 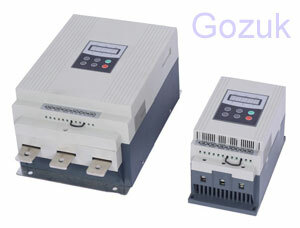 Online check the largest starting current and the maximum operation current. 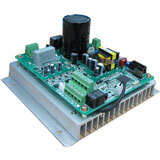 Fieldbus dynamic control and monitor the soft starters for easy network system control. 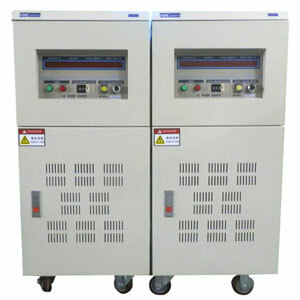 Character display: LCD screen displays various working parameters, text prompts under programming and fault conditions. Pumps - the soft-stop function ease water hammer occurs during stop period, saving the system maintenance costs. Ball mill - the voltage ramp start-up can reduce gear torque wearing and reduce maintenance workload, saving time and costs. 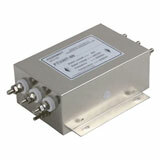 Fans - reduce belt wearing and mechanical shocking, saving maintenance costs. 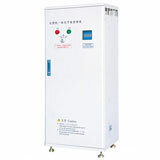 Compressor - achieve smooth start by limiting current to reduce motor heating and prolong motor service life. Belt conveyor - achieve smooth and gradual starting process by soft starters to avoid shifting and spillage.